I'm still riding high from the Royal Wedding on Saturday. 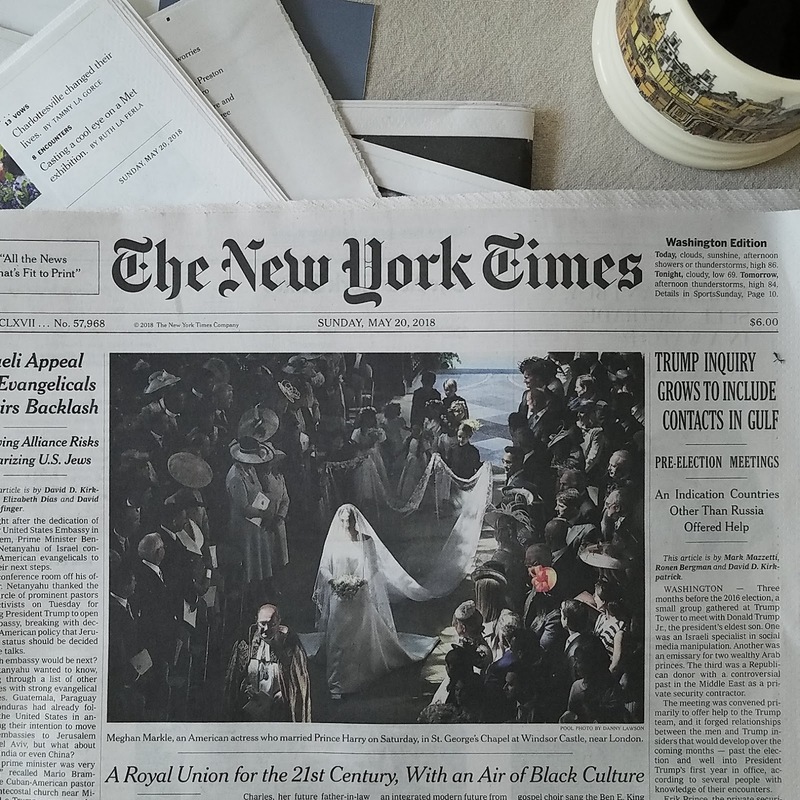 My favorite photograph from the day was on the front cover of Sunday's New York Times. 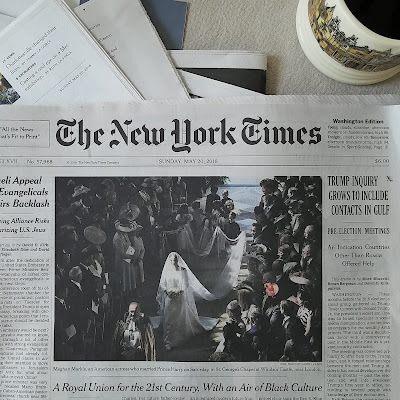 I like to read my favorite sections of the paper at breakfast throughout the week and I am saving the piece on the wedding for the last. While I was on my hunt for rose bushes to fill the pots on the patio, I visited a nursery by the ocean. 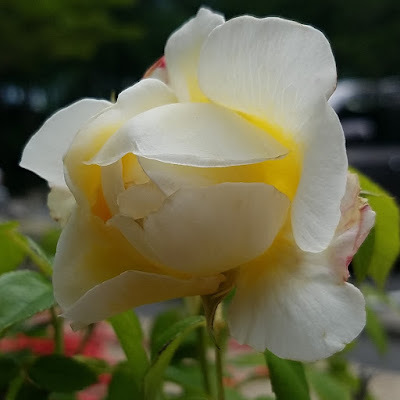 They didn't have what I was looking for, but after a long talk on roses with one of the sales ladies, she showed me the rose bush clearance section where one ragged David Austin rose bush was languishing. For ten dollars, I was able to bring Charlotte home with me. She had three buds and one is already starting to bloom. We have a sun porch in The Rectory that really doesn't get much use unless we have a large church function. 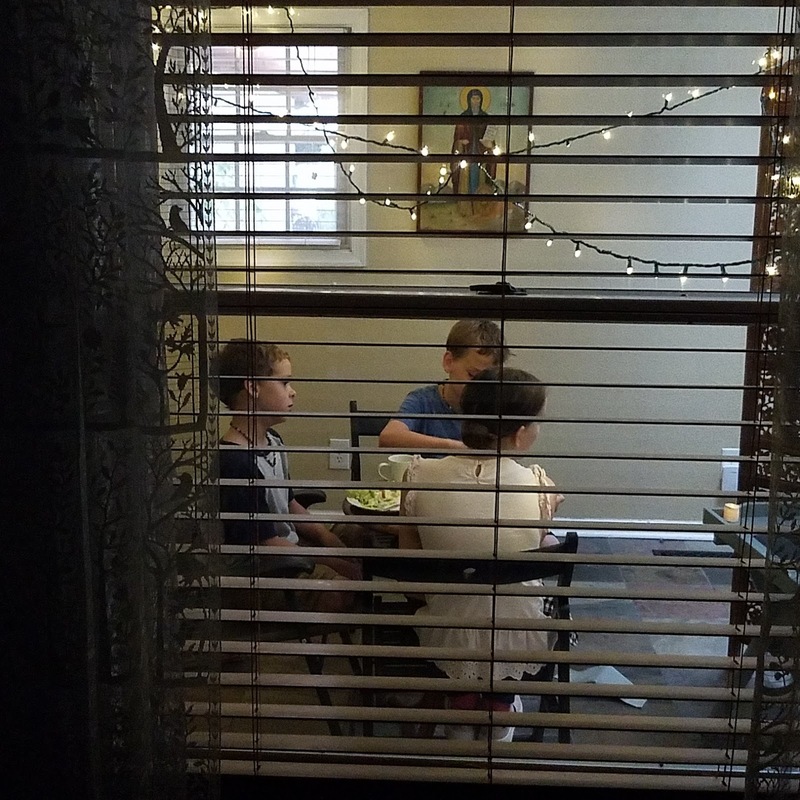 Yesterday, our children moved in a side table, some folding chairs, and twinkle lights from the Christmas bin to play restaurant. Tonight, they are eating their dinner there. 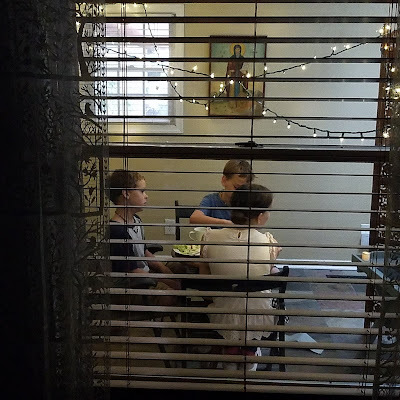 The best part about this set-up is that I can spy on them from my bedroom window and admire their sweetness without them even knowing. How precious about your children dinner time. Sweet!! !